Some few days after the legend 61st birthday, Fuji musician, Wasiu Ayinde added to his laurels as he was decorated the UN-SDG Ambassador by the Civil Society Coalition on Sustainable Development at the International Stakeholders Conference on SDG. The event took place at the Cultural Centre Kuto, Abeokuta, where many dignitaries including the Ogun State governor, Senator Ibikunle Amosun witnessed the colourful occasion. Wasiu’s contribution to humanity through his music was the reason the organisers cited in selecting him for the honour. 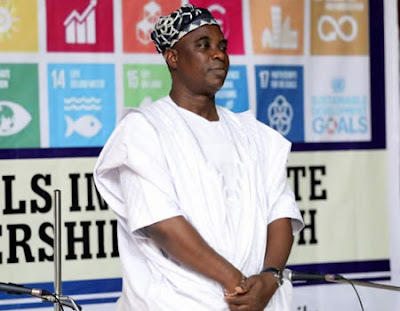 0 Response to "Fuji Legend King Wasiu Ayinde becomes UN Ambassador"